In line with this year’s observance of the Philippine Civil Service Anniversary, NAMRIA, through the Bayanihang Bayan Desk (BBD), conducted a forum entitled “Preparing for the Big One: Disaster-Risk Reduction for Earthquake-Prone Areas in the Valley Fault System.” The forum was held at the Pinagsama Action Center Multipurpose Hall, Barangay (Brgy.) Pinagsama, Taguig City on 23 September 2016. The residents of Brgy. Pinagsama from the sectors of senior citizens, persons with disabilities, youth, and women attended the forum. The activity started off with the invocation and the singing of the Philippine national anthem by BBD volunteers Jonathan S. Ballesteros of the Mapping and Geodesy Branch and John Richard R. Bongalos of the Geospatial Information System Management Branch (GISMB), respectively. On behalf of the Barangay Government of Pinagsama and Pinagsama Brgy. Chairwoman Ma. Victoria Mortel-Balidoy, Brgy. Councilman Jomil Bryan C. Serna welcomed and thanked the participants for attending the forum. He also thanked NAMRIA for helping educate their constituents on disaster-risk reduction especially on earthquakes. Incidentally, their barangay is situated along the West Valley Fault Line. BBD Focal Person Jeffrey A. Quodala gave an overview on the functions, projects, and accomplishments of the BBD since its creation in 2013. Mr. Annrou R. Ramos of GISMB presented facts about earthquakes and how to respond appropriately before, during, and after its occurrence. 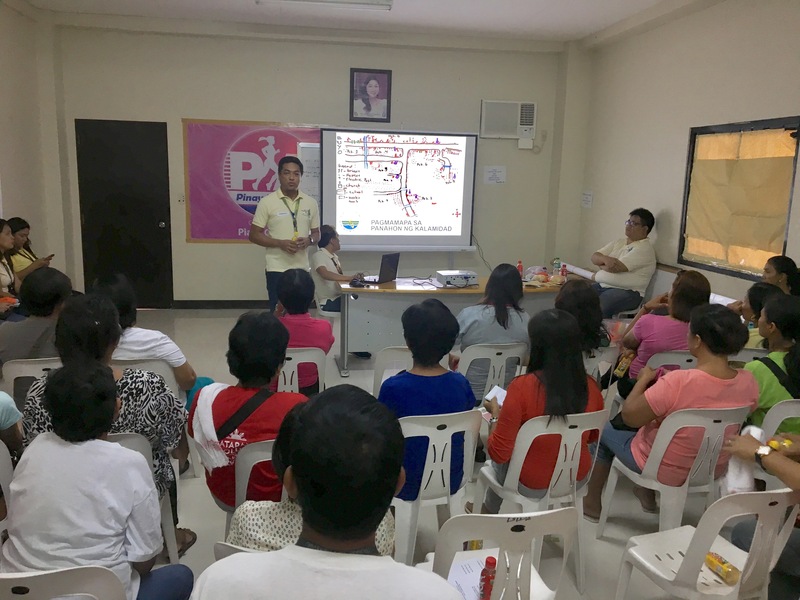 Mr. Ramos encouraged the residents to participate in all disaster-risk reduction and management concerns. An open forum ensued after the presentation. A certificate and a token of appreciation were given to Mr. Ramos. The barangay received a framed NAMRIA centennial calendar and four hazard maps (earthquake-induced landslide, ground rupture, ground shaking, and liquefaction) of Taguig City covering Brgys. Ususan, Pinagsama, Katuparan, North Signal, Central Signal, South Signal, Maharlika, and New Lower Bicutan. The maps are outputs of the READY For Greater Metro Manila Area Project of the Government of the Republic of the Philippines, the United Nations Development Program, and the Government of Australia through Australian Aid (AusAid). Each participant was given a “Go Bag” first aid kit and NAMRIA centennial calendar as tokens of appreciation for having attended the forum. In closing, BBD Focal Person Quodala thanked Brgy. Pinagsama for the hospitality extended to the group. 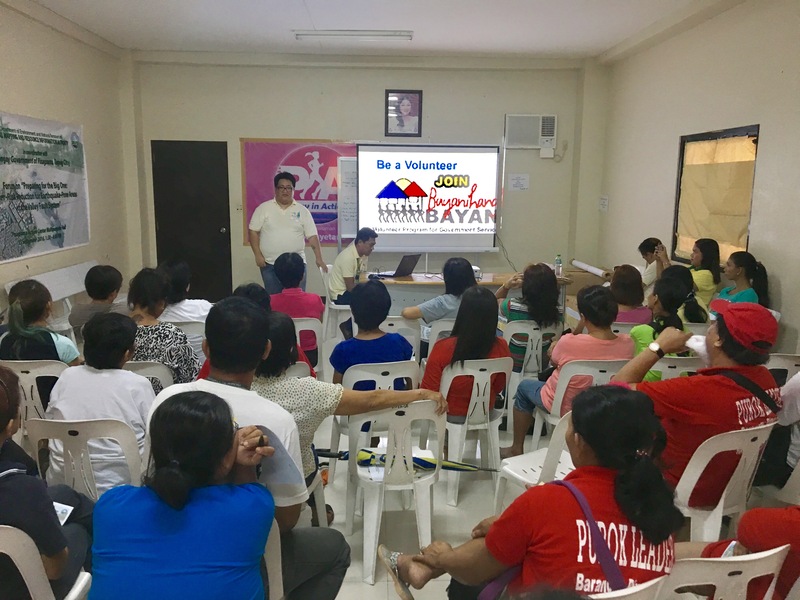 He encouraged the participants to continually support the disaster-risk reduction and management projects of their barangay and promised to collaborate with them should they need volunteers from NAMRIA and BBD. BBD Alternate Focal Person Zenaida A. Leaño served as emcee and facilitator of the forum. Other BBD volunteers present were Andy Nicolas G. Adeva of GISMB; Michelle Ann G. Cruz of Resource Data Analysis Branch; and Arlene M. Balauro, John Michael B. Hita, Glaiza M. Calunsag, and Kim Claire D. Fulay of Support Services Branch.